Anlo Financial Solutions is a financial services practice that provides accounting, taxation, secretarial, booking, accounting recruitment and consulting services within the Edinburgh area to small and medium businesses. Contact us today see how we can help you! New and growing businesses have enough on their hands without the added burden of bookkeeping and accounting. The numbers are always something that they ‘will find time’ for. In truth it’s difficult to make the time to stay on top of your finances, but it is crucial that you do. Anlo has a cooperative, friendly approach to accountancy and can help you, whether you are a fresh-faced start-up, or you are finding your way in the world of business. Taxes are daunting, there is no way about it. Whether it is Companies House submissions or personal tax filings, doing tax yourself is an added layer of worry most businesses can do without. With years of experience, both of tax laws and of running our own business, Anlo is perfectly placed to help lift that burden. Whether it’s the simple things like tax returns and VAT, or getting to grips with Making Tax Digital, we have answers and solution. You don’t have to deal with HMRC all on your own. HMRC has introduced Making Tax Digital and it’s confusing! Instead of a year-end reconciliation, digital tax submission is an on-going process. By taking advantage of cloud-based packages and adding our considerable experience, you can discover that far from being just another millstone around your neck, digital tax is a powerful tool that can help you stay on top of your finances. Anlo can advise on the best package, set it up and hold your hand while you get to grips with it. They have taken their time about it, but Her Majesty’s Revenue and Customs (HMRC) are now insisting that everything goes digital. Going ‘digital’ is hardly new; we access our bank accounts online, we advertise our businesses online and we even order our groceries online, so this is far from bleeding edge. What does HMRC mean when it talks about going digital? Here’s an old joke, but it’s relevant… A man stands in a field, watching a hot air balloon descend towards him. The balloon halts three feet from the ground and the passenger in the balloon shouts down, “Hello! Where am I”? As a new business or start up, you will probably want to know what is the easiest way to register a company in the UK. There are various online websites that can do this for you at minimal cost. They offer extended statutory compliance services, for instance; registered office services, tax type registrations, yearly compliance packages etc. I have personally used Companies Made Simple and Rapid Formations and both of these websites were fast and competitively priced. Why Use Cloud Accounting Packages? In the past, you needed an accountant to purchase an accounting package and they would then perform your accounting services using a software package that they owned and holding your data on their servers. If you wanted to leave or needed to cut some costs, you had to kindly ask them to release your data and hope that your new accounting package could import your data in their format. When Does Your Income Tax Need to be Submitted? Your company income tax bill needs to be paid 9 months after the company year end. The returns needs to be submitted within 12 months after the companies end of year. It is always a good idea to be prepared and to get your accounts prepared and financials approved as soon as possible. Do you have a limited company (registered in the UK) and want to draw money out of the company? Many of you have worked closely with me over the past two years and I would like to say what an honour it has been and that I am looking forward to many more years. I thought it would be a great idea to properly introduce myself to everyone in this newsletter. In our profession there is on much emphasis on the word ethics and how important it is to be ethical. This is understandable after all the terrible things that have happened in the corporate and government environment lately and the constant fight for fairness and justice. I was recently challenged in this regard and the one thing that showed me the way was Anlo’s amazing team, what we have built up over the year as a company and my professional standards. First thing in the morning I check my emails and respond. I then start processing the bank statement and the petty cash of all my clients. If I don’t know where to allocate the transaction (sometimes on the bank statement the description for payments are not clear), I set up a list of queries for the client to tell me what the transaction was for. This is very important because it can affect the VAT allocations or the income statement/balance sheet. through detailed analysis and understanding of what our clients need. 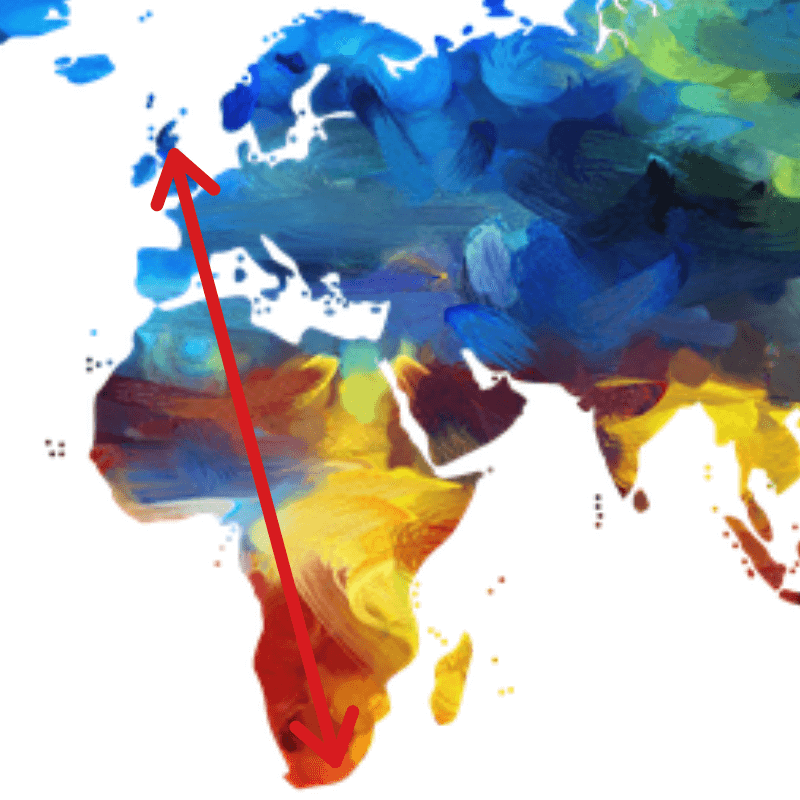 businesses in both Scotland and South Africa.